But I realized that most travel managers and TMCs don’t know what is happening in the ground transportation world, how they should manage the chaos, what they should pay attention to now vs ignore, and the questions they should be asking to manage their company’s ground transportation spend. Every month brings another billion dollar funding round for a rideshare company. Toyota, Google and Ford are throwing around terms like Mobility Cloud and Mobility as a Service (MaaS). Companies don’t know how to manage the security of increasingly affordable and convenient carpooling and public transit services. The same rideshare company (read: Uber) can be in various stages of legal limbo in each market. How do you tell your employees you can use them in one location but not another, and actually enforce that? Also, there are contentious battles about whether or not the cost premium of traditional black car providers is worth it, and whether or not rideshare companies are putting their riders in danger by cutting corners on background checks. Travel managers often have to choose partners that will last them years, but these days many companies are reacting by just not dealing with the situation. A healthy percentage have “don’t ask, don’t tell” policies around rideshare: they’ll reimburse for it but they won’t explicitly say you can use it or encourage it. And “official” ground partners often go unused by the vast majority of a company’s employees. As of now ground transportation is largely unmanaged. This is the first in a series of ground transportation articles we’re calling “Hit The Ground Running.” The point is to help you, the travel manager or TMC, navigate the massive upheaval in the ground transportation industry and figure out how you want to manage it. To start I want to focus on a central question: is Lyft and Uber’s pricing sustainable and how does it relate to the approaching autonomous car revolution. 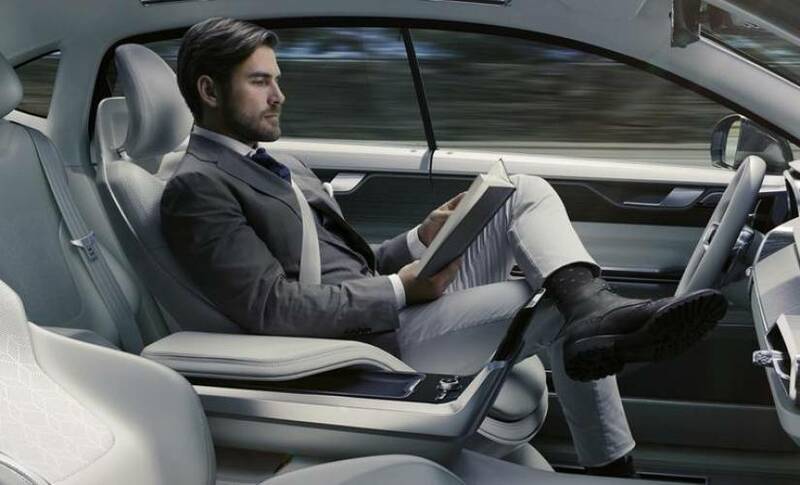 Autonomous cars are still a long ways away, but their looming presence is still felt in the pricing policies of Uber and Lyft, which have ramifications on the car rental market and traditional limousine providers. Recent reports show that riders only pay about 41% of the cost of every ride on Uber. This has led to many traditional car service companies to cry foul: Uber and Lyft will have to eventually increase prices. The current way of operating is not sustainable. But I think they are focusing on the wrong thing: Uber/Lyft doesn’t have to sustain these pricing policies forever — they just have to sustain them until autonomous vehicles cut out the driver and their pricing becomes profitable. “Private cars (not including parking costs) cost about $0.50/mile for the average American. Uber, meanwhile, prices based on a combination of per-trip flat-fees, a price/mile, and a price/minute; taking a basket of cities the cost-per-mile for an average commute is $1.80/mile. Now this is for commuters, not for travelers, but I think car rental is analogous to temporary “ownership” of a vehicle in a destination so this is at least directionally accurate, and it shows the math behind Uber and Lyft’s pricing decisions. 80 percent of the cost of a ride is the driver in the car. Once autonomous cars are ubiquitous, Uber goes from subsidizing 40 percent of the ride to having a healthy margin. Uber and Lyft are pricing for market share under the assumption that in 3-5 years, maybe longer, when autonomous vehicles arrive, they will no longer be losing billions a year and will become profitable. Until then, it’s a land grab. So in some ways, while Autonomous vehicles haven’t arrived, we are already feeling the effects of them as investors subsidize rides in order to try to earn your loyalty. As more Uber and Lyft competitors merge (Didi in China & 99 in Brazil), are acquired by car companies (MyTaxi by Daimler) or raise massive rounds (everyone), you should expect more and more market share to be taken up by these options, and for the market to get more fragmented as more of them expand into more geographies. And because their incentives are marketshare, not profitability, as they wait out autonomous cars, their prices will be consistently lower than many other alternatives. It’s not irrational or unsustainable — their incentives are just different. In short, at the moment, autonomous cars are only as relevant as they affect rideshare expansion, but you need a policy better than “Don’t Ask, Don’t Tell” regarding Uber and Lyft.